Incredible visuals, classic Trek lore, pushing boundaries, and Tribbles – how the new CBS All Access series will give fans exactly what they want. When it was announced in 2015 that CBS was developing a new Star Trek series, the news was met with some trepidation and speculation, but most die-hard fans were overjoyed at the prospect of a brand new series from their favorite universe: Star Trek: Discovery. 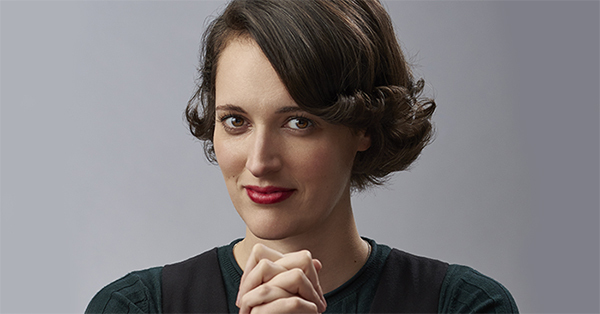 Casual fans, meanwhile, groused a bit that the series would premiere on the broadcast network, but that subsequent episodes would be available only through its online subscription service CBS All Access. But, based on initial responses, it looks like the tease may just work to get fans to open their wallets. Discovery is set 10 years before Captain Kirk, Spock, McCoy, and the rest took off in the original Star Trek series. It’s a dark time for the Federation and Starfleet, which are engaged in a brutal cold war with the Klingons. 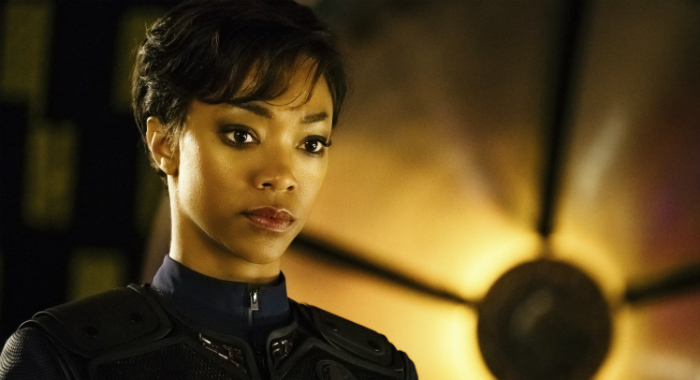 The show centers on First Officer Michael Burnham (The Walking Dead’s Sonequa Martin-Green) as she navigates her way through Starfleet, serving under Captain Philippa Georgiou (Michelle Yeoh), who helms the USS Shenzhou. 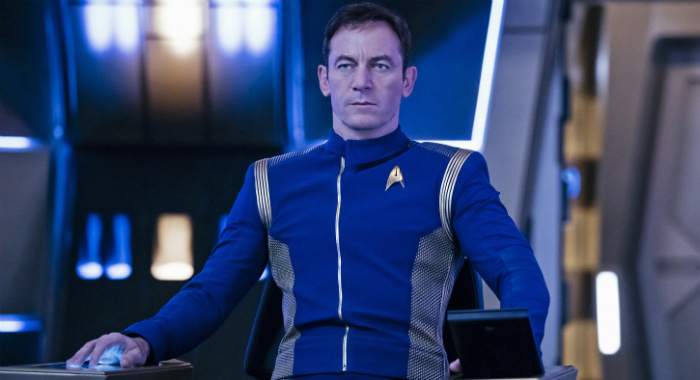 Jason Isaacs of the Harry Potter film franchise stars as Gabriel Lorca, captain of the USS Discovery, another starship working to maintain peace. 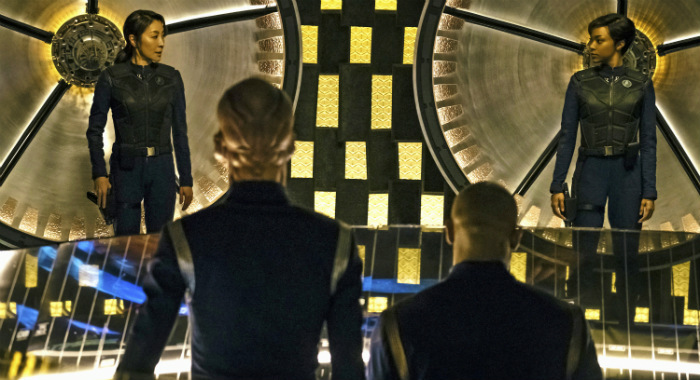 Here are 10 things the Star Trek: Discovery cast and producers have said will definitely get fans excited about the new series. It’s always a good sign when the cast members are crazy excited about the prospect of a new Star Trek series. Seriously, who doesn’t want want to shoot a phaser? 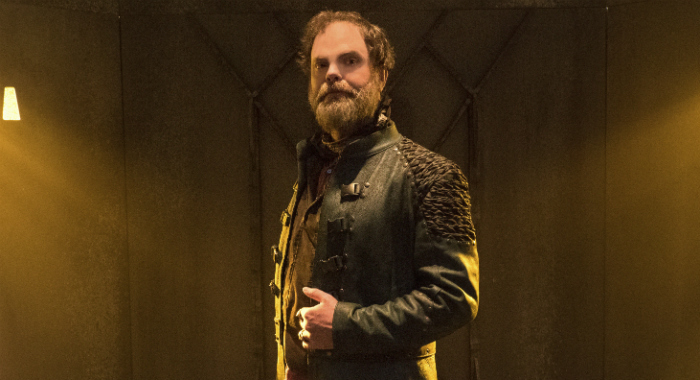 Rainn Wilson, who plays a younger version of one of the franchise’s more beloved side characters, Harry Mudd, gushed to reporters during San Diego Comic-Con that he, too, grew up watching the original series. “At age 5 or 6, I started watching it on re-runs after school,” he said. “I built models of the Enterprise and had books. I memorized everything about the Enterprise, where everything was in the ship. 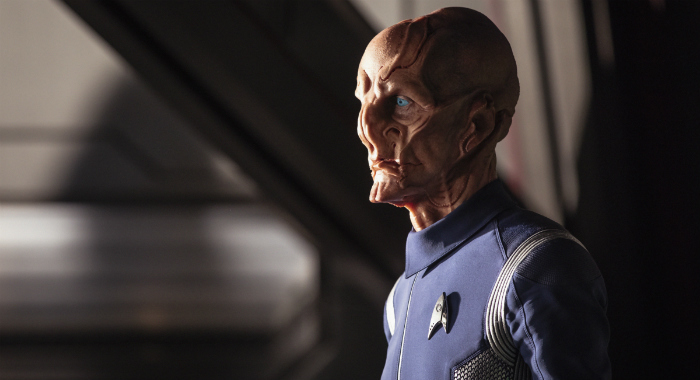 Jones, famous for his acting with special effects and makeup, once again dons prosthetics as Lt. Saru, a member of the alien race of Kelpiens. The original Star Trek series broke all kinds of new ground in the 1960s, including featuring the first female black principal actor, Nichelle Nichols as Lt. Uhura. This is not lost on Discovery star Martin-Green, who became emotional talking about filling those shoes. 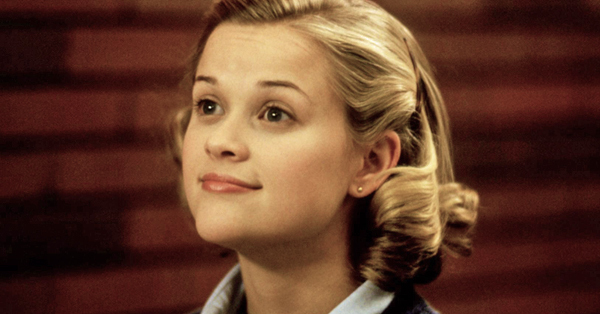 More of Burnham’s backstory has been revealed, including that she was the first human to attend the Vulcan Learning Center as a child and then the Vulcan Science Academy as a young woman. She also has a close relationship with Spock’s father Sarek (James Frain), who has taken her under his wing. So, in essence, Burnham most assuredly knows the young Spock. 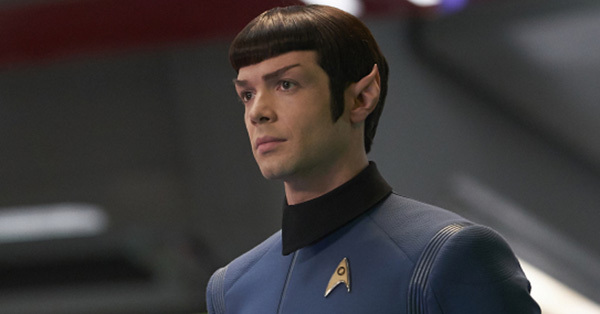 Let’s hope maybe they have tween Spock on the show. 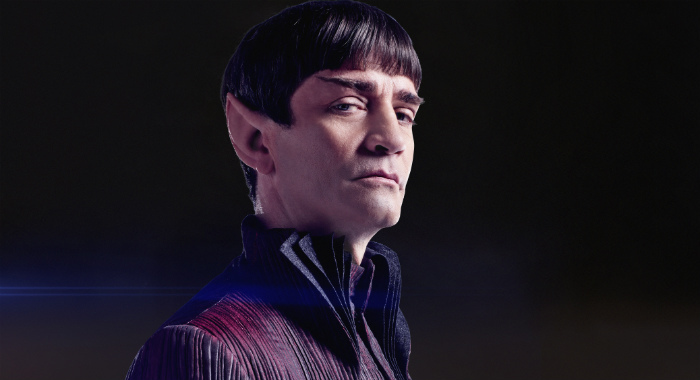 While it’s possible we’ll see a very young Spock, we’ll definitely get to meet new versions of well-known characters such as Sarek and Harry Mudd. 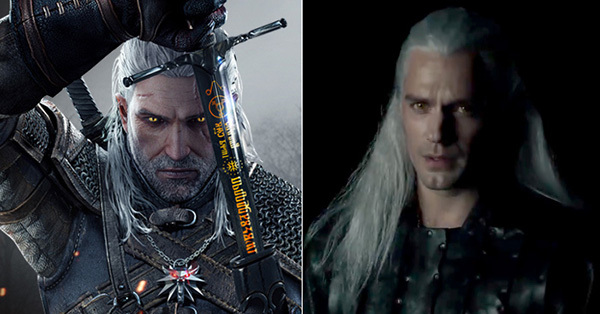 And while the actors playing them will pay homage to the iconic characters, they’ll also bring something new to the roles. “There was a scene in which I was with a large group of Vulcans,” Frain recalled, “who were dressed – the costume designers for the Vulcans in this are phenomenal – they were all dressed to the nines. Incredibly stylish, it was like being in the best club ever. It was a moment of full Vulcan-ness that felt fantastic. Wilson is equally excited to portray a different version of the trickster Mudd, who was played by Roger C. Carmel in the original 1960s Star Trek series. “Let’s remember, this particular universe is a very dark time for the Federation and for Starfleet with this war happening,” Wilson noted. “So, I don’t think it’s appropriate in the universe to have this jolly, wackadoodle episodes that were often in the original series and in The Next Generation. 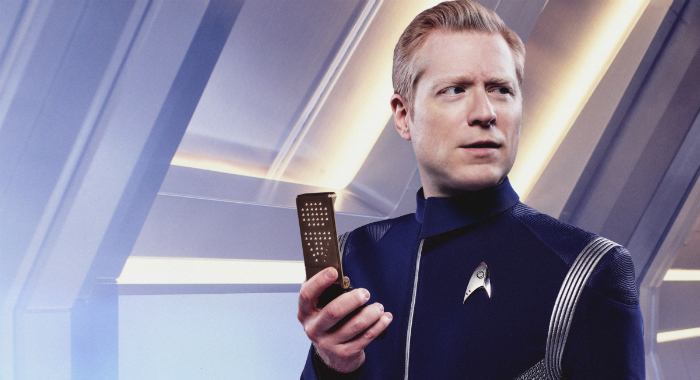 Star Anthony Rapp, who plays USS Discovery science officer Lt. Stamets, told Rotten Tomatoes that he got “profound goosebumps” when he heard the new theme song from composer Jeff Russo. “I’m a bit of a musician,” the Broadway veteran, who starred in the Original Broadway Cast of Rent, said (downplaying his credits a bit). “To me, it’s very interesting musical ideas that are expressed in the theme itself. Those first two notes are the original series notes, but the chimes after that [are not]. It’s a similar feeling, but Jeff took those first two notes and then he turned a corner with them — so it’s familiar and yet new. And there’s more: Rapp also teased the new opening credit sequence. Executive producer Alex Kurtzman promised everything we have come to love about the Star Trek franchise will be there, plus more. That’s right: Jonathan Frakes, best known as Commander William T. Riker from Star Trek: The Next Generation, is stepping in to direct a few of the Star Trek: Discovery episodes. Fans will certainly want to know how this Star Trek will stand out in its look and feel. Because it’s set 10 years before the original series, Discovery will most likely have similar gadgets and technology, but producer Kurtzman confirmed that Discovery will incorporate all the amazing CGI techniques we have available today. Rapp said his character gets to explore all kinds of wacky new science thanks to his specialty in the study of fungi in space. 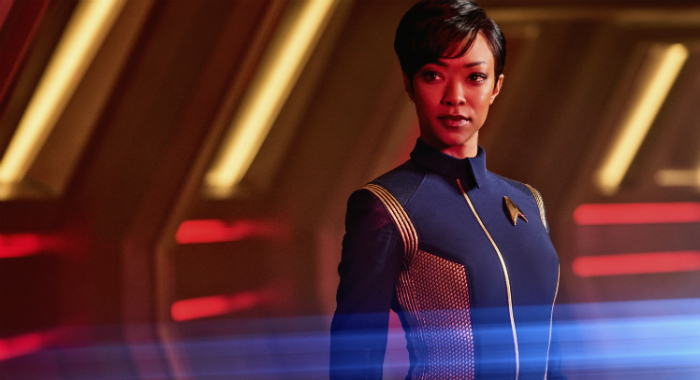 “Boldly” pushing the envelope is what the Star Trek franchise has always done the best – and Discovery will be no different. That’s it. We’re totally all in. Star Trek: Discovery premieres September 24 at 8:30 p.m. on CBS; the series then launches on CBS All Access with new episodes available on-demand weekly on Sundays exclusively for CBS All Access subscribers in the United States. The 15-episode season will be released in two chapters: The first eight episodes will run from Sunday, Sept. 24 through Sunday, Nov. 5. The season will then resume with the second chapter in January 2018.